Our homes are our retreat to escape the everyday reality of the outside world therefore it should be suited to our needs and desires to help us feel comfortable and relaxed. So if you’ve been holding off on your renovation plans then now is the time to set your targets and put them into action. A new fresh environment is a great way to heighten the family’s spirit. 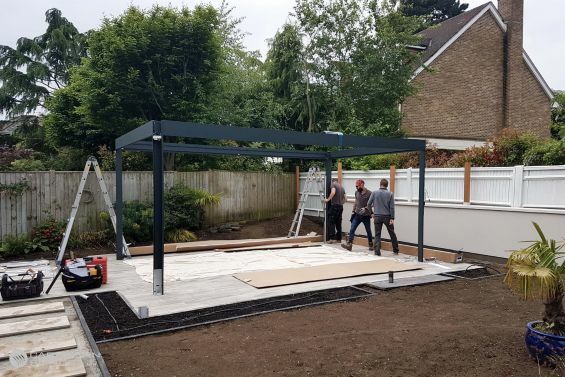 If you are looking to live a healthier lifestyle this year then we recommend transforming your garden into an elegant outdoor haven that will have the whole family outside all spring and summer. The natural light is a great source that leads to a healthier lifestyle and the only way to keep the family from retreating indoors is to create a dedicated outdoor living space that provides all the comfort needed to enjoy the outdoors. At Caribbean Blinds we have a range of outdoor living shading solutions that will help you to achieve your home and garden renovations and create a healthier and happier space for your family and friends. Each solution has its own unique features that will cater to certain needs and they are all made to measure with design options to make it your own. 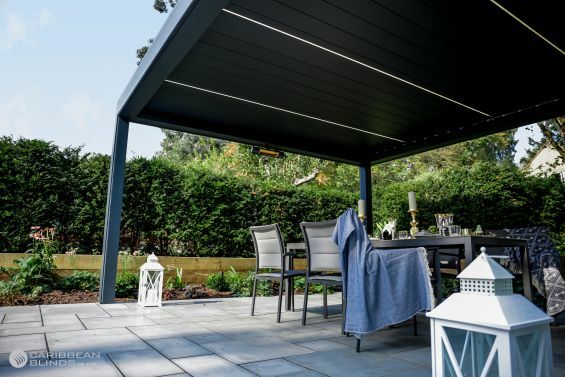 The Outdoor Living Pod™ is the ultimate garden feature that will help you to fully immerse in the outdoor living lifestyle with its award winning automated features that will battle the elements to keep you comfy all year round. 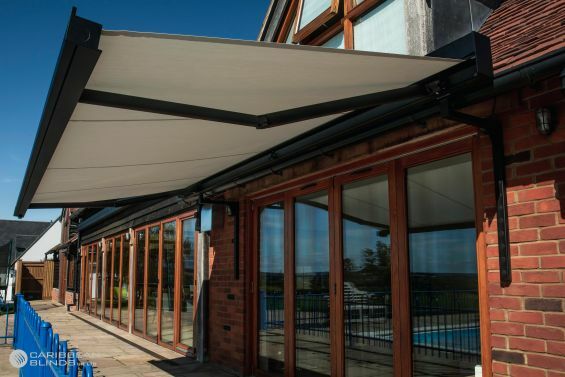 Our range of Folding Arm Awnings have been engineered with the finest materials, making them some of the robust awnings on the market. 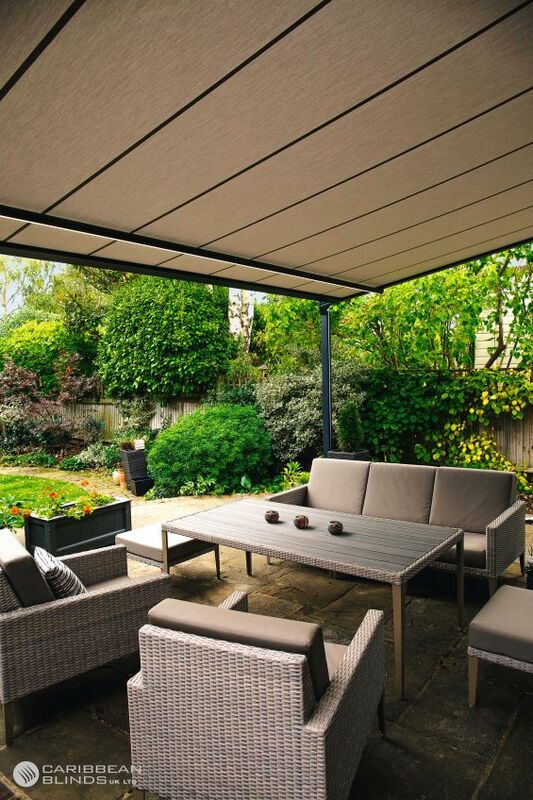 Its stunning streamline and contemporary design combined with a colourful weatherproof fabric, make this an appealing patio canopy that will bring any garden to life. The Puerto Rico Pergola Awning is the perfect half-way house solution if you are not looking for something as luxurious as an Outdoor Living Pod™ but something that surpasses the limits of an awning. With only 65 days left till spring there isn’t much time left, we have a team of experienced and knowledgeable advisors at hand ready to assist you in your New Year plans so that you are ready for the seasons ahead. Contact us today to discuss your requirements and let us enhance your lifestyle. 0344 800 1947 or alternatively you can leave your details using our quick enquiry form.